My father, brother and I would like to thank everyone for our 41th year! ! Thanks to all for your purchase. The big news is we are now shipping a new model! Knotsick model 370 is ready. We have moved the scales to the inside tube. This is a major improvement in readability. When you read one scale the other 2 scales are no longer visible. Use at night is much better since the printing is on the white inner tube. The printing is now protected by the outer tube and will remain in perfect condition for years of use. We have changed to a high density polyethylene bearing at the bottom of the tube which makes the instrument essentially frictionless. The tow unit now includes a short length of monofilament line which reduces the random noise and improves the resolution(0.1 knots on 0-6 at midscale). It is also user replaceable which extends the life of the neoprene line. We now have rubber guard caps on both ends so the unit can be dropped on a hard surface without damage. This is the best unit we have ever made! All prices remain the same. ( Cost of cab plastic is going up up! We will need a price increase at some point. CAB is one of the few plastics that can be made from renewable agriculture and we are happy to use it. We can only continue the free shipping for a few more weeks! We are still shipping any international order for $6 extra but this must increase soon. Effective 1/6/2013 all units ship with a heavier black polyester over neoprene tow line which is nearly sunproof. The snap fittings have also been increased by one size. Effective 2/10/2013 all units ship with a new top cap system that allows you to rotate the selected scale to the front. This helps to avoid any question as to what scale is operating. Effective 2/20/2013 all units ship with color coded disks. White for 0-6 and black for 0-9. 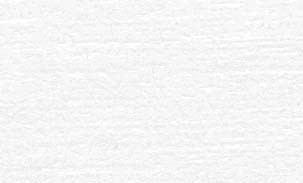 The 0-3 disk is a natural plastic. You can now tell which scale is set up from even ten feet away. Effective 1/6/2014 you get 2 extra clips for the tow unit. giving a higher resolution which is now 0.05 knots at mid scale. Effective 1/2/2017 all units have an inside tube with a delrin spacer on both ends. This reduces friction further. We measured a 30 % reduction! You will be amazed by how small a change in speed can be seen. Effective 1/2/2018 all units have a new 3d printed inner tube end cap which reduces weight and eliminates cnc time. With paypal you get free shipping ( limited time offer ) and we get the automated management system which is more accurate and faster with the best data security on the web! We ship orders by Priority US Mail (3 day) . It generally takes 4 to 5 days for you to receive your order in the USA. Canada takes a few more days and international shipping by air mail takes 14 days normally. The extra trolling unit makes changing scales very quick and easy. Welcome sailors! Please browse our pages and learn about the best mechanical knotmeter ever created. This rugged, simple design has been proven for thirty years in every corner of the globe! From New Zealand to New England long range sailors use Knotstick. We like to say: Electronics for show and Knotstick to know! If you need an instrument to help learn sail trim then read on because Knotstick is better than almost anything else for learning to trim properly. GPS is too slow for seeing small changes in boat speed. Knotstick can make you into a great helmsman. You can learn how to steer your boat through waves and maintain maximum speed. Even some expensive thru-hull electronic meters are damped to the point that they can't show the helmsman anything meaningful. Read what Knotstick owners say. 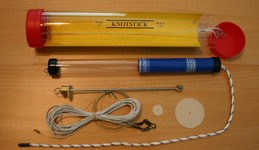 Knotstick works by measuring the force generated by towing a small calibrated disk. The force is generally 5 to 7 ounces with a maximum of 12 ounces. Knotstick comes with three interchangeable scales: 0-3, 0-6 0-9 knots. You get an absolutely steady reading in all sea conditions. This is achieved through the use of a special dacron-neoprene tow line. Knotstick is built entirely in the USA. 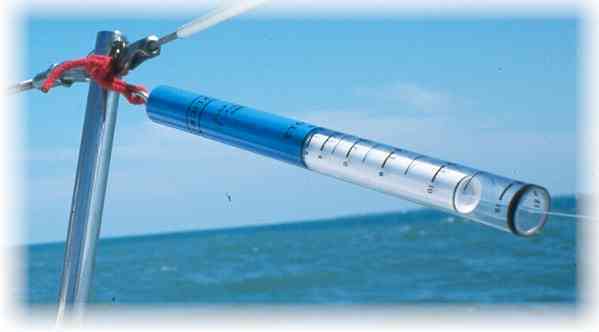 Each spring is individually sized and checked to assure a permanent accuracy to within 0.2 knots. The resolution is 0.10 knots at any speed above 2 knots. All parts are uv resistant plastic , stainless steel or brass. There are protective black rubber bump guards on both ends. We now have a new hard plastic case that makes stowing the tow line a snap. Just wrap the line around one end of the case and you have a nice neat package ready for next time. Boat yards use Knotstick to calibrate electronic knotmeters. Knotstick comes with a no questions money back offer. Try it for 30 days and if you don't like it send it back for a refund. We guarantee the read head for 1 year. If it fails send it back and we will repair or replace it free. The cost is $45.95. Each Knotstick is hand calibrated to insure reliable results. Extra Drag units are available with same day shipping. See the order page for details.